Wonderful one-story home located on a premium half acre cul-de-sac lot in Timber Brook Estates. Ideal open floorplan with 10 foot ceilings, skylight, and large windows provide an abundance of natural light. Spacious split master. Master bath has dual vanity, seperate shower, jetted tub, private commode, and walk-in closet. Kitchen is open to dining area and family room with a wall of large paneless windows that provide a sweeping view of sparkling blue pool and lushly landscaped backyard. Enjoy the outdoors with spacious private backyard oasis featuring large patio, saltwater pool & spa, waterfall, mature trees, lush landscaping, and plenty of grassy area for play. You'll love the new (2016) engineered hardwoods throughout entry, living, kitchen, and hallway. New Carpeting in master and second bedroom (2016). Updated ceramic tile in both bathrooms. 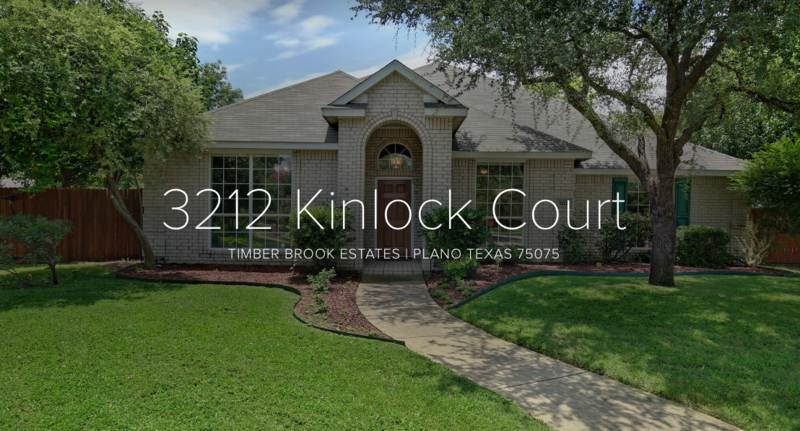 Visit www.3212KinlockCourt.info for listing photos and property details. 3212 Kinlock Court, Plano, TX, 75074 Unbranded from FullPackageMedia.com on Vimeo.